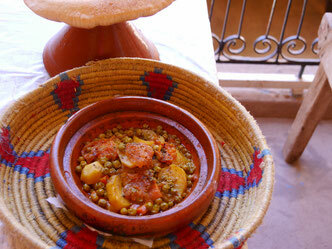 Moroccan cuisine is sometimes called the best cuisine of the world. This is due to the variety of spices and a lot of fresh ingredients. 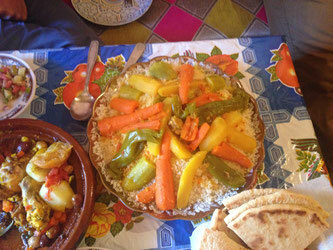 It is a combination of Berber, African, Arabian and Mediterranean cuisine. 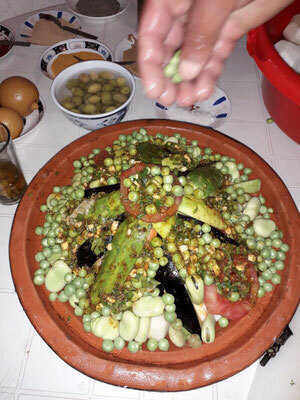 We will prepare our dishes in a family home in Tassa Ouirgane, a Berber village in the mountains, on 1100m altitude, at the entrance to the Toubkal National Parc. 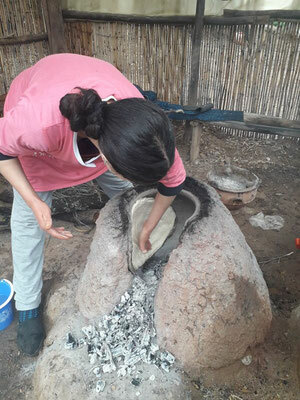 Here you also have the opportunity to see how to make the traditional berber bread called Tanourt, attend a tea ceremony and have a look at the wheat mill of the village. To come to Tassa Ouirgane, either mules are waiting for us and will take us all way up to the village in about 1 ½ hours, or you just walk. This is according to your choice. After lunch we will start our way back walking to the Ouirgane / Marigha area, along the gardens. 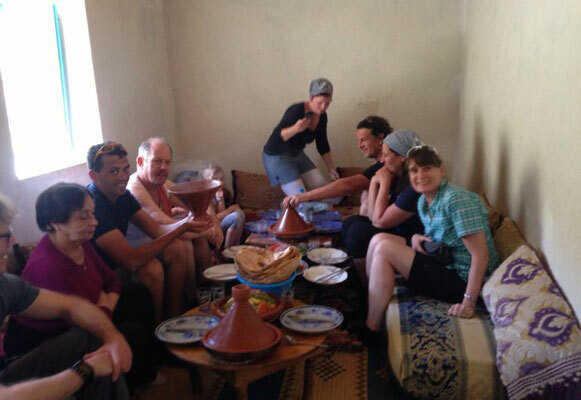 If you are in a group, this workshop can also be combined with our 'Berber Experience and Knotting Workshop' , so maybe everybody finds his favorite activity. On Saturdays there is also the possibility to buy all fresh ingredients we need for cooking on the weekly Berber market in Asni, where all people from the mountains in this area come to meet, talk, see a doctor and do the shopping for the family for the next week or two. 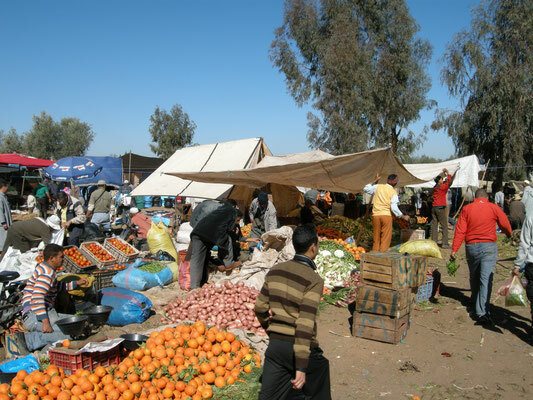 We will have a stopover in Asni to visit the market and after shopping directly go to Tassa Ouirgane. The way back from to Marigha will be as described above. Please let us know starter and main course upon booking! Prices depend on number of persons. 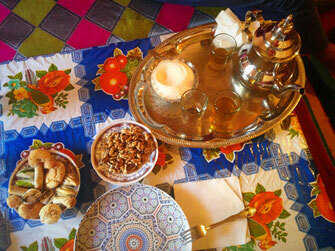 Are you in the Ouirgane / Marigha area or do you need transfer from Marrakesh? Please do not hesitate to contact us - we will submit your individual offer as quickly as possible.